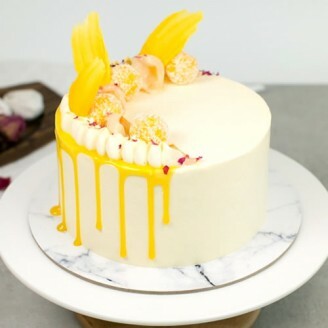 Those who have a knack for eating mango are simply going to love this mango liquid cake. The fragrance of mango is enough to energize people. For eating cake, one doesn’t really need to wait for an occasion. Send this scrumptious cake to someone who is close to your heart on Occasions like Birthday, Anniversary Dates, etc. This cake is a perfect choice for fruit lovers with a sweet-tooth.